Born and raised in Farmington, Wade Williams is a graduate of Fayetteville High School. Mr. Williams graduated from the University of Arkansas in 1987 with a Bachelor of Science degree in agricultural business. He graduated from the University of Arkansas School of Law Fayetteville in 1990, and was admitted to the Arkansas Bar that same year. From law school, Mr. Williams went to work for Attorney Larry Garrett in Bentonville. He also opened a legal office with Garrett in Holiday Island in 1990. In 1992, Mr. Williams purchased Bromstad Abstract and Title Co. in Eureka Springs. He ran the title company and practiced law from there until 1997, when he opened a sole practitioner law practice in Holiday Island. He sold the title company in 2002, opened a satellite law office in Farmington in 2003, and bought an interest in Kings River Title Co. in 2006. In 2006, he also moved his office from Holiday Island to its present location in historic downtown Eureka Springs. He lives in Fayetteville and splits his time between his two offices. He is a member of Carroll County Bar Association, Arkansas Bar Association, American Bar Association, and is licensed to practice in federal district court. Mr. Williams is also a member of the Arkansas and American Land Title Associations, and is chairman of the Carroll Health Foundation planned giving committee. He is a member of the Holiday Island Chamber of Commerce, Eureka Springs Chamber of Commerce, and the Farmington Chamber of Commerce. Mr. Williams was appointed by Gov. Mike Huckabee to serve on the State Parks, Recreation and Travel Commission in 1997 and reappointed in 2001. He now serves on The Natural Heritage Commission, which Gov. 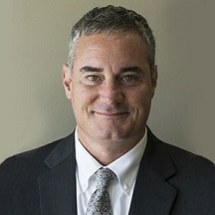 Mike Beebe appointed Mr. Williams to in 2009. He also serves on Board of Directors of the First National Bank of Berryville. Mr. Williams represents clients throughout Arkansas, including Eureka Springs, Berryville, Fayetteville, Springdale, Rogers, Bentonville, Fort Smith, Harrison, Mountain Home, and Little Rock. He is admitted to practice before all Arkansas State and Federal courts.